The most-watched international golf competition is filled with nerves, tension, nonstop competition, and the best from the United States and Europe battling it out. 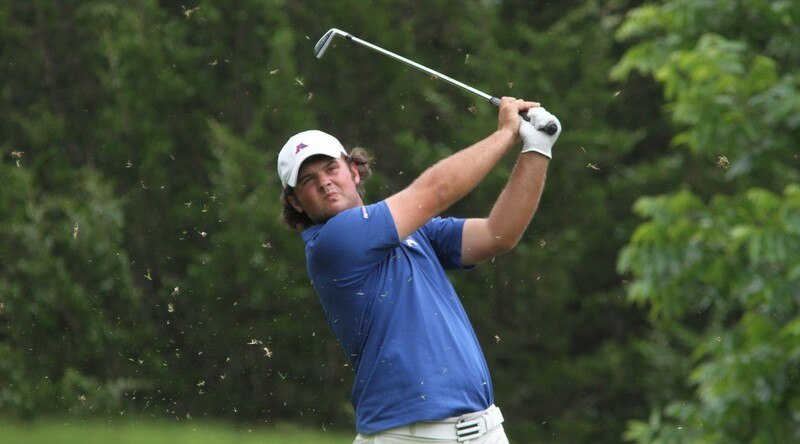 And in the most recent edition, Jaguar alumnus Patrick Reed made his Ryder Cup debut – and established himself as someone looking to stay awhile. The former All-American and two-time winner on the PGA Tour compiled a 3-0-1 record to lead the United States in points earned and stood as the only American without a loss on his record once the competition was over. He earned plenty of praise for his efforts, such as a story from ESPN’s Bob Harig and more accolades from Sports Illustrated’s Micahel Bamberger. Reed opened his play teamed with fellow Ryder Cup rookie Jordan Spieth in fourball matches, and the pair destroyed their opposition 5&4. More impressive was in their opening match where they faced Europe’s Ian Poulter – the man known as “The Postman” because he always delivers for the Europeans. Reed continued delivering the next day, winning 5&3 alongside Spieth over Tomas Bjorn and Martin Kaymer. The two struggled in the evening session, halving their match after leading 2-up with six holes to play, but Reed bounced back in the singles round on Sunday with a 1-up victory over current world No. 5 Henrik Stenson. He finished the 2014 PGA Tour season ranked 27th in the Official World Golf Ranking, with two victories and eight other top-20 finishes. It’s pizza-meets-hot-subs-meets-pasta, and it’s one of the first in the area. Welcome to Slice of Life, Sodexo’s latest offering in the JSAC Food Court. “We’re excited about the variety,” Earl Evans said. 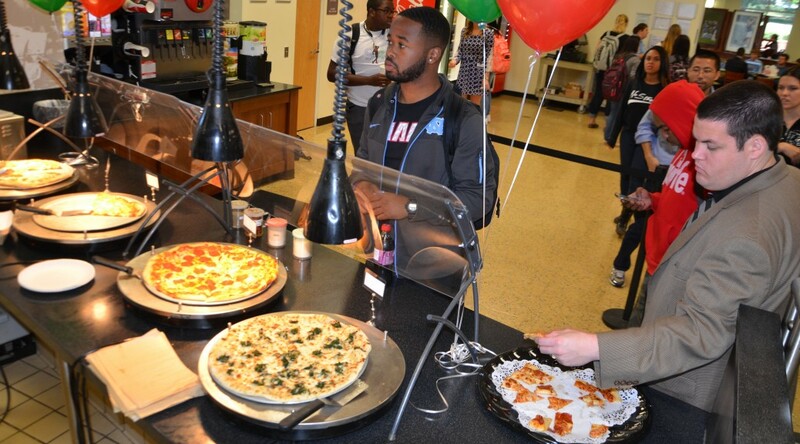 Evans is the Senior Area General Manager, with over 20 on-campus restaurants under his influence. Those options include different pizzas, but also choices such as Hot Spicy Italian Sandwich, Meatball Sandwich, Baked Chicken Penne, and more. And the food is put through the pizza oven, à la the Quiznos’ method. In addition, the Stacks menu has been slightly altered, ensuring different sandwich options on the two menus. Slice of Life has been open since the beginning of the fall semester, but initiated a soft launch to work out the kinks. Now, it’s deemed ready for full service – complete with free samples that were offered Tuesday. Free samples? An easy choice among the ever-expanding dining options. Have you ever seen a photo in TIME or Discovery that made you pause and think “WOW!” to yourself? There are plenty more where those came from – and you can see them in person. 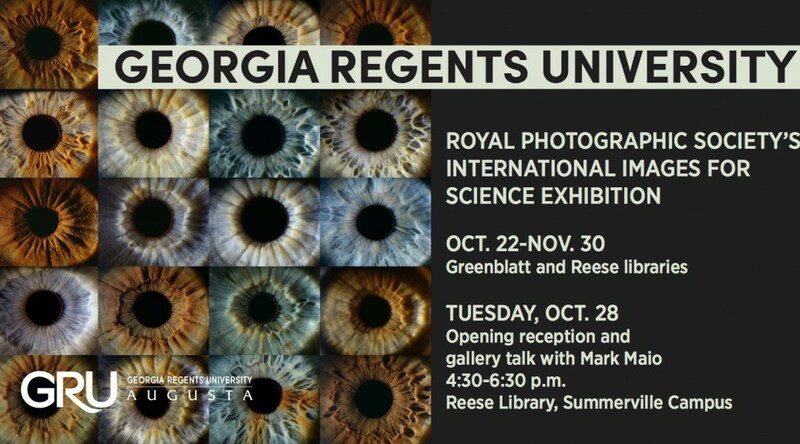 Beginning Oct. 22, the GRU Arts Council hosts the Royal Photographic Society’s “Images for Science” exhibition, with 100 of the world’s best photographs in the science realm. The gallery will be split between Reese Library and Greenblatt Library. In addition, the man behind the photo above – titled “20/20” – will host a Master Class on Tuesday, Oct. 28, at 2 p.m.
Mark Maio is President of InVision Inc. and the 2012 Outstanding Contribution to Ophthalmic Photography award winner by the Ophthalmic Photographers’ Society and will speak on his 35+ years experience in digital imaging with a time for question-and-answer as well. 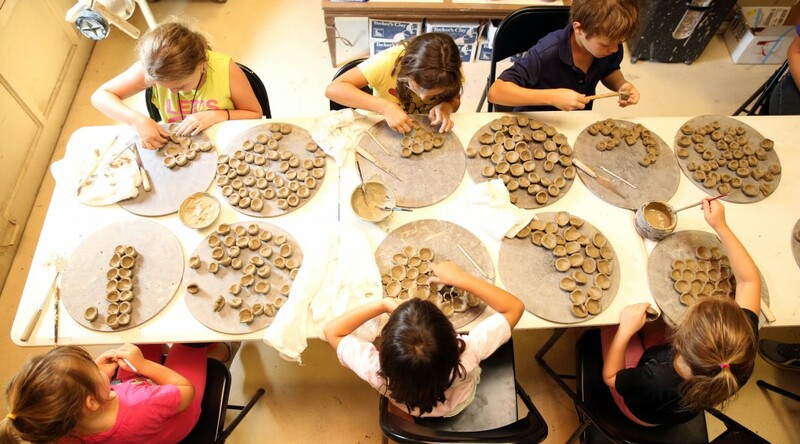 Following the Master Class from 4:30-6:30 p.m. is the exhibit reception, slated to take place in Reese Library. For more information, contact Bill Andrews, Chair of the Exhibit Planning Group, at 706-721-3266. Now flip the script: Are you afraid of aging – or death? Your creative abilities might have been impacted, and so have three distinct authors with autobiographies detailing such. Meyer has spent considerable time in the works of Nathalie Sarraute, Colette, and Annie Ernaux, seeing how their fears impacted their work, especially each writer’s autobiography. Seeing an author’s unique perspective on his/herself provides insight into family issues or view of oneself – and its impact on the entire process of putting pen to paper to convey the author’s life to the world. In addition, the new Chair of English and Foreign Languages’ in-progress book “Fractured Families in Contemporary French and Francophone Women’s Autobiographies” and teaching experience all relate to the topic at hand. She notes her talk came fairly quickly and naturally, building her enthusiasm to discuss these topics with others. The event marks Alpha Mu Gamma’s first event of the year. What happens when hope meets success? So far, the intersection is a traffic jam of GRU athletic squads. Start with the volleyball squad, off to a 7-1 start and a seven-game win streak heading into Friday night’s Peach Belt Conference (PBC) showdown with Armstrong before hosting Flagler on Saturday. They’ve dropped just four sets during the streak and have posted clean sweeps in their last three. Three players – Kristen Koch, Katie Beresford, and Catherine DeSilvester – rank in the PBC’s upper statistical ranks for kills, blocks, and digs, respectively. Men’s golf kicked their season off on a strong note, firing a combined even par to finish T-4 in the 18-team field. Maverick Antcliff’s year began with a tie for second, two off the lead, and Jake Marriott’s T-14 gives him confidence moving forward. The squad moves to the Jack Nicklaus Invitational at Ohio State beginning Sept. 28. 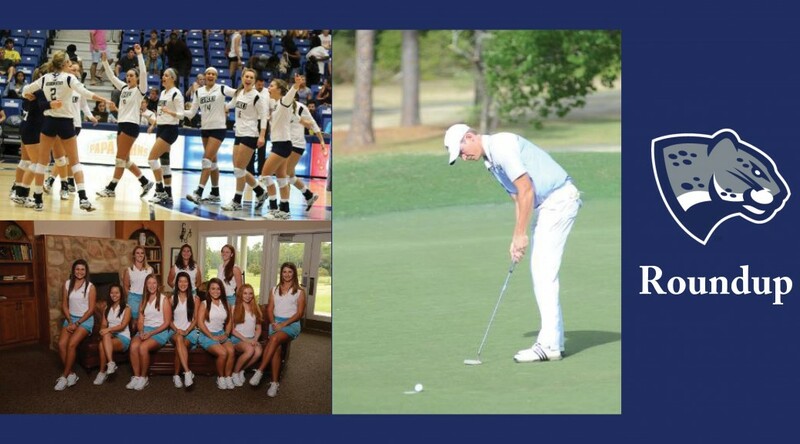 The women’s golf team began the year expecting even more after an NCAA Regional appearance last spring – marking the third trip to the postseason in the last four years. The trio of Josefine Nyqvist (T-11), Jessica Haigwood (T-19), and Eunice Yi (T-21) all nabbed their first top-25 finishes on the season, picking up where all three left off in their freshmen seasons. They play next at Vanderbilt, in the Mason Rudolph Championship. The team also received good news from a recent alumna, as Natalie Wille continued showing why she sits No. 1 on the Nordea Tour – winning her second professional tournament to go along with four other top-11 finishes. With continued strong play, she may be able to move onto a higher-ranking tour and move a step closer to the highest-level tours such as the LPGA Tour. Patrick Reed finished his 2014 FedEx Cup debut strong, placing 19th in the TOUR Championship – the final tournament in golf’s version of a postseason – and ending up 21st on the points list. Meanwhile, Vaughn Taylor, the most decorated men’s golf player in Jaguar history, sits No. 49 on the Web.com Tour as he attempts to re-gain his PGA Tour card. Taylor will compete in the Web.com Tour Championship. If Taylor succeeds, he’ll gear up for his 11th season on golf’s highest level. Henrik Norlander is also in the field, which is the penultimate test for those hoping to graduate to the top tours. For all the latest in athletics, head to jaguarsroar.com and follow GRU Athletics on Facebook, Twitter and Instagram. 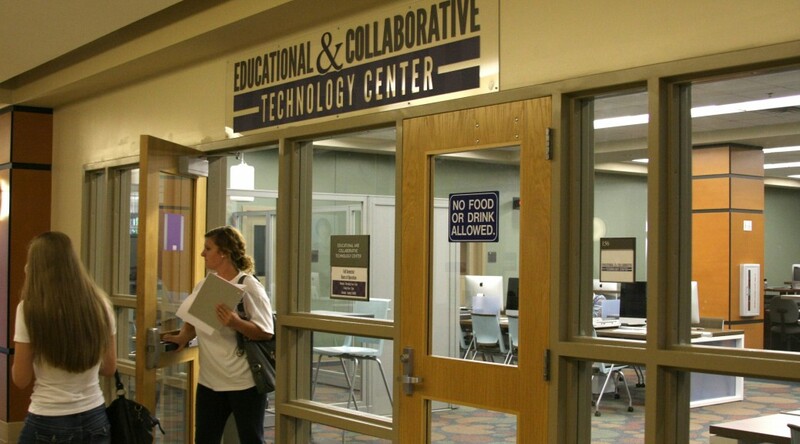 The Education and Technology Collaboration (ECT) Center sits on University Hall’s first floor across from the computer labs, but many students, faculty, and staff walk right by without realizing how much potential sits so close by. From equipment available for checkout to in-the-moment assistance, the ECT Center is the place to go for any sort of multimedia project. With validated JagCard, any student, faculty, or staff can use one of the laptops, audio recorders, or cameras (for video or photography). And if the technology seems out of your comfort zone, the staff can show you how to use it effectively. The same concept applies when editing a project. From Final Cut Pro to the entire Adobe Master Suite, on-hand assistance is available should things go awry. “We’re the only lab that has people here in case something goes wrong. Students can come here and actually get help the entire time,” ECT Manager Robbie Smith said. Smith and Instructional Multimedia Specialists Timothy Williams and Kristopher Wells bring a broad range of experience and expertise. “Once, a student needed help with designing a publication layout. With my background in graphic design, I helped her learn a few Adobe InDesign concepts to assist with what she was trying to accomplish,” Smith said. The most common requests are for equipment and video editing, something both Williams and Wells know. Between faculty presentations and illustrations for class – not to mention assigned video projects for students across a wide range of majors – the two can be in high demand. Even when new technology comes out, the ECT Center staff are the ones most likely to have encountered it. Williams recounts a time when Prezi, a presentation software with the capability to spice up what would normally be a PowerPoint, first came out. Students who earned an A, it’s worth noting. “Any student who has ever come back after we helped them has always said ‘Thanks, you were a big help,’ and we take pride in that,” Williams adds. Smiles, hellos, and how-do-you-dos permeated the lively atmosphere as GRU apparel dominated the choice of dress across campus. The first day of undergrad had begun. Week of Welcome presents many opportunities to connect to campus, from ClubFest to a night at Adventure Crossing to a chance to Rock the Wellness Center. But on the first day, it’s about getting one’s feet moving the right direction. 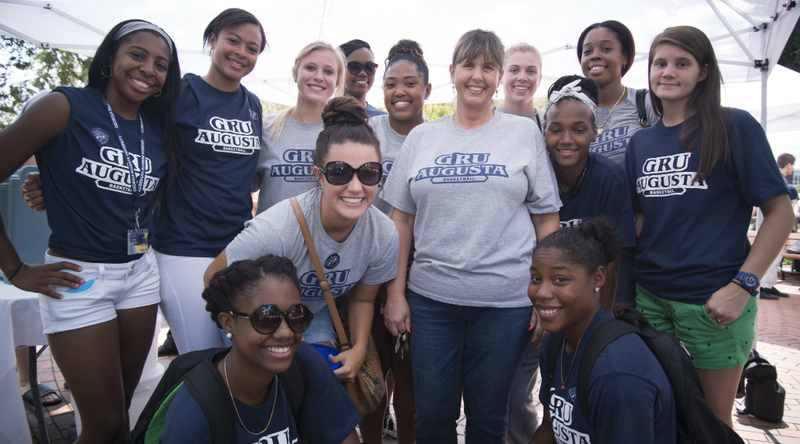 Students donned their GRU gear to show their spirit, making it impossible to walk a few steps without seeing a blue, gray, or white shirt bearing the logo. Some took selfies and sent them to @GeorgiaRegents, hoping to win one of a few prizes awarded that day – or be selected for a prize to be awarded later in the week for showcasing their school pride. Small tents had popped up near the Jaguar Student Activities Center, the Main Fountain, and Science Hall to offer anyone a refreshing lemonade or water and the chance to ask for directions – and a hug or wave if it happened to be a friend. But if one walked anywhere outside, the voice of head men’s basketball coach Dip Metress could be heard permeating the buzz of students talking and birds chirping. For hours, Metress offered students a chance: Shoot a ball into a basketball hoop, win a T-shirt. Sometimes he’d needle the shooter, asking what school he’d graduated from and then asking once an air ball flew over the hoop “Did they have P.E. at your school?” He encouraged others, especially those admitting they’d never shot a ball before. One by one, students, faculty, and even some senior administrators stepped up and hoped Dip wouldn’t have a laugh at their expense (and perhaps win a free shirt or in some cases, a basketball). But once afternoon hit, a backhoe standing forebodingly next to Metress and head women’s basketball coach Nate Teymer (who’d been looking on) was put to use. As both coaches stood beneath the backhoe’s outstretched arm, it turned … and dumped numbing ice and water on the pair, their part of the nationally known #ALSIceBucketChallenge complete. Just another step of progress on a jam-packed first day at Summerville. With the moving, the newly-found freedom, the new friends, proud parents, and fears associated with a new challenge, starting college is a whirlwind of chaos. Fortunately, University Connections (UVC) knows – and during the week before undergraduate classes begin, UVC’s Retreat Week ensures incoming freshmen have the best chance to begin with confidence. After moving in Monday, freshmen began their week with dinner and competition in University Village, with a jam-packed Tuesday featuring a campus scavenger hunt, lunch with Athletic Director Clint Bryant, introductions to helpful resources, and a discussion of the digital portfolio they’ll build while at GRU starting the week off in style. Top it off with a Welcome Home Carnival and dinner, and Tuesday’s in the books. Wednesday focuses more on casting long-term vision; resume workshops, personal finance management, meeting with student organizations, and intramurals are all part of the day, with an evening movie to help unwind from the information influx. Thursday presents a unique opportunity to plug into the community, as various community service projects dominate the day to reinforce GRU’s values students are introduced to at lunch. Finally, Freshman Convocation marks the end on Friday – complete with a class photo (taken from a cherry picker) and giving way to the reality of class beginning just a few days later. Of course, it’s also the beginning of applying everything they’ve learned on Retreat Week. 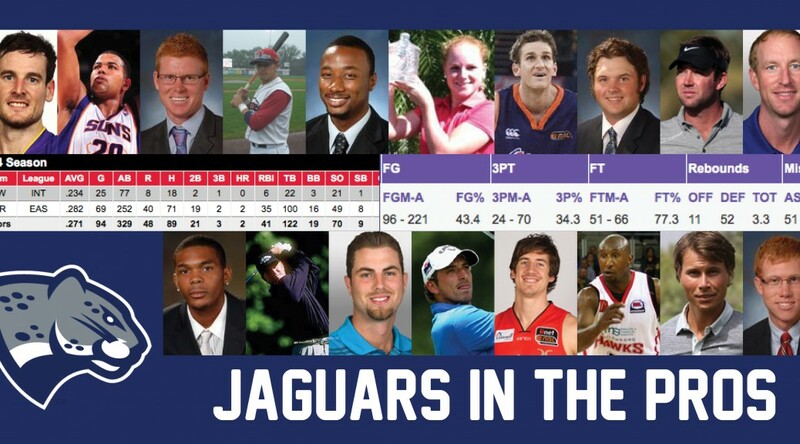 Several former Jaguar athletes have heated up more than the summer heat as they’ve continued their professional careers, with some adding to already-impressive resumes while others continue to build strong foundations in their first tastes of the professional ranks. Garret Siler, after spending two seasons with the NBA’s Phoenix Suns, landed with Capitanes de Arecibo in Puerto Rico this season. He’s averaged over 10 points and seven rebounds a contest to help his squad to the Baloncesto Superior Nacional finals, a best-of-seven series that saw the big man notch eight points and six boards in Arecibo’s game one victory. On the links, Patrick Reed and Henrik Norlander both qualified for the U.S. Open, and Reed made the cut to finish in a tie for 35th. Reed managed a tie for 11th in the Quicken Loans National recently as he looks to build on a season where he’s already won twice on the PGA Tour. Norlander, meanwhile, posted back-to-back top 10 finishes on the Web.com Tour, including a tie for fourth in the Nova Scotia Open to move up to 37th on the money list. The top players on the Web.com’s money list at season’s end earn a full year of exemptions onto the PGA Tour, while the other top 25 earn their way into a playoff with lower-ranking PGA Tour professionals with a chance to earn their way onto the Tour. Scott Jamieson has competed on the European Tour for years and hit his stride in June with a T-18 finish in the Alstom Open de France. He followed with a tie for eighth in early July, marking his biggest payday of the year and rocketing him up to 86th on the European Tour rankings. Mitchell Krywulycz has struggled to make his cuts on the eGolf Tour, but his third and fourth made cuts on the year counted big: After a T-8 finish in the Southern Open, he earned a top-five finish in the Cabarrus Classic to move into the Tour’s Top 60 on the money list. The eGolf Tour top 60 are invited to the year-end Million Dollar Championship Series. Natalie Wille made her professional debut count, winning the Nordea Tour’s Frontwalker Ladies Open. She competed in the Ladies’ Amateur British Open Championship as well, missing advancing by three strokes in a large field of contenders. On the diamond, Shannon Wilkerson, the 2005 eight-round draft pick by the Boston Red Sox, earned a month-long promotion to Triple-A Pawtucket – one step below the Major Leagues. He hit .234 with eight runs scored before being sent back to Double-A Portland, where he is currently hitting .282 on the season but is on a hot streak with a .349 average in his last 10 games. To keep up with all of the latest on our Jaguars in the Pros, bookmark and check jaguarsroar.com/information/jags-pros often!